MG's first EV will be a variant of the MG ZS small crossover (pictured). MG Motor has introduced its first electric vehicle and plans to sell it in Europe as well as China. The vehicle is a battery-powered version of the MG ZS small crossover. It has a range of 335 km (208 miles) under European standards. The EV made its debut at the Guangzhou auto show in November. It will go on sale in Europe, including the UK, sometime in the first half of 2019, SAIC Motor, MG's parent company, said. It did not identify other European countries where it plans to market the vehicle. The electric MG ZS will undergo road tests in several European countries including the UK, Belgium, Luxembourg, Spain, Germany and France over the next two months, according to SAIC. Aside from the gasoline-powered MG ZS, SAIC also produces and sells in China the MG3 hatchback, MG6 compact sedan, MG GT sport coupe, as well as two other crossovers – the MG HS and MG GS. It also distributes the locally produced MG ZS, the MG3, MG5 compact sedan and the MG6 and MG GS in Thailand. The MG3, MG ZS and MG GS are sold in the UK. 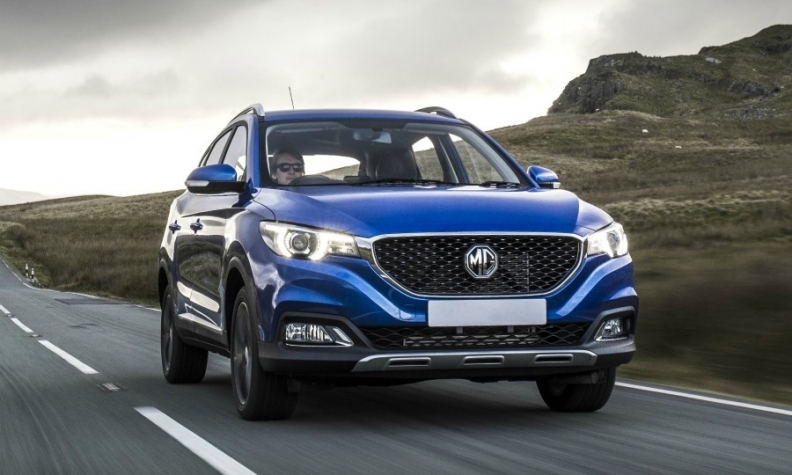 In the first nine months, MG's global sales surged 89 percent to nearly 180,000, reflecting demand in China for the brand's expanding crossover lineup and the redesigned MG6, according to SAIC. In April, MG launched China sales of its first alternative energy vehicle, the plug-in hybrid version of the MG6.